Greetings, Dear Ones, yes, it is I, the Holy Mother. 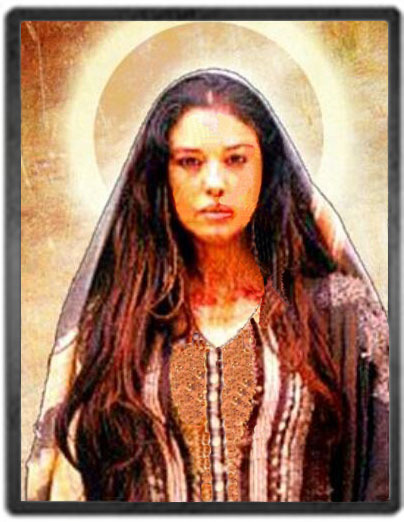 As I come to each of you on this most auspicious day, Mary Magdalene and my son are here as well. We ask each of you to take a deep inhaling breath, and begin to breathe in this new frequency that is now surrounding this planet. Begin to take in this frequency that is now surrounding the planet. It is of great significance, Dearest Children, that you honor the vibratory frequencies that are coming into this planet at this time, they are creating such power and such force that each of you that are now in what we call a transitory state will be catapulted into your rightful place and into your rightful purpose. And so, please take a deep, inhaling breath, and simply begin to breathe. Allow these powerful frequencies to now enter into your consciousness, enter into your subconscious, enter into your physicality, into your mind, body, spirit and soul. And so, please begin to breathe in these frequencies of love, and allow the light and the power of the ever-lasting frequency of love to now begin to be emitted into your own vibrational frequency, the beautiful, beautiful, beautiful power of love. It is the vibration, Dearest Children, that is so needed on this planet at this time to heal the world. Love will heal all. And so, Dearest Ones, begin to breathe and to feel this frequency as it simply begins to meld within your being. Love will heal all, love will heal all, love will heal all. And so, now at this time, we ask you to hold the light for this beautiful planet. As you know, so much of the Earth Mother has been decimated by the humans, and their lack of consciousness, for her survival as well as for their own survival. So, I ask you, Dearest Children, with your intention, with this powerful frequency, that you are now what we call inhaling into your frequency, with each breath that you take, and with each exhale, please allow the frequency of love to be sent to Mother Gaea. It is indeed unfortunate that the planet and all of its inhabitants are in a critical state, and we ask you, Dearest Children, to hold this intention so that this beautiful planet will return back to balance, and all of life will return to balance. And so, today it is about calling in these frequencies of love, and bringing your body, your mind, your spirit and your soul back to balance. For the energy that is being emitted can create imbalance in each of you if you’re not centered and conscious of that which you wish to embody. The time has come for each of you to take responsibility for the whole, not just for yourselves, but for the whole. What one does affects another, and what you are doing today by calling in these frequencies of love, you are affecting not only yourself, but you’re affecting the collective consciousness and the vibration of love to heal the world. Do not become disturbed, Dearest Children, by any discordant energy or any fear-based information that you may receive. Please hold the intention and hold the light that the beautiful planet and all of humanity will return to its rightful place as the beautiful love star in which Mother Gaea was created. And so, Dear Ones, please hold your intention first on yourself and then on Mother Gaea. It is of great significance that at this time, you understand that the lunar eclipse and the frequencies that are coming forward are extremely complex in nature. And yet, Dearest Ones, they are being emitted onto this planet, the gamma rays are being emitted upon this planet at a very intense and rapid rate. And if your physicality and your body is not in balance, you may begin to feel a bit of a disturbance inside of your being. Do not be afraid, but simply breathe. Do not allow any energies that are not of pure love affect you. Do not allow any energies that are not of pure love affect you. And so, today, we are surrounding you with the beautiful pink ray of love, light, and healing. 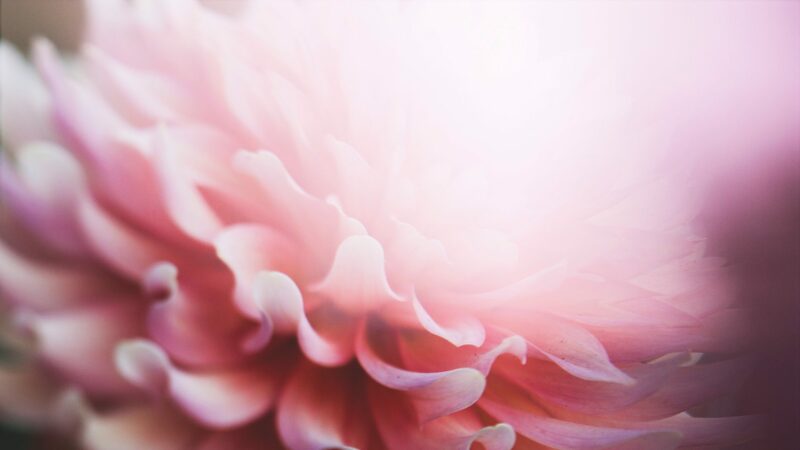 We are surrounding you with a beautiful pink ray of love, light, and healing. As if you are encapsulated into this frequency that will allow you to absorb the gamma rays into your system. But also, Dearest One, it will insulate you from any imbalance that may be occurring within your system. You may begin to feel lightheaded or tired or weary. Or unable to concentrate. But we ask you, Dearest Ones, to hold your intention that all that is occurring with the frequencies that are being emitted on this planet at this time are in alignment for the collective whole, for love and light and healing to prevail. As you know, so many individuals are suffering from their own mental and physical imbalances. And we want to bring each of you into balance so that you are strong, both physically, mentally, emotionally and energetically. That you are very, very strong indeed, and that you are not to worry about your health or any human condition. You are to hold your frequency and know that you are strong. Because, Dearest Children, you are very, very important, and you have much work to do here on this planet, as you are holding this frequency and this light. Regardless of what you understand, each of you are holding these frequencies and powerful energies that are being emitted on this planet. You are anchoring them into the earth, you are embodying them within your system. And at the same time, you are emitting this energy out into the world so others may feel your vibration of love and resonate to this frequency. This is the reason for all of this, for the vibrational frequency to be altered and returned to love. As you know, the misdirected energy, the negativity, the violence, the hatred has created discordant frequencies upon your planet. There is great confusion, and Mother Earth herself has difficulty sorting through all of these lower vibrational frequencies, because they are energies that are not compatible with her. It is like chaos or confusion happening, and even Mother Earth feels this. When you feel confusion, when you feel chaos, when you feel the lower vibrational frequencies affecting you, we ask you at this time to transmute it with love. Transmute everything with love. When people around you are creating chaos, or even when you are watching this on your television set, the chaos that is being reported by your media, we ask that you transmute it into love. Always hold the highest of vibration, always hold the highest of intention, and you see, these powerful frequencies that are being emitted are extremely, extremely pure, and so the intention that you hold at this time will begin to manifest rather quickly. Everything that you are holding in your intention will manifest rather quickly. And so, Dear One, remember this is extremely important. What you hold as your thought forms and your intention will manifest rather quickly. This next few weeks and into the end of your summer months and into the fall equinox, this powerful frequency will be emitted upon this planet, there will be rapid, rapid change and that which you have been trying to accomplish will be made manifest. This is the time that many of you have been waiting for. This is the powerful frequency that the earth has been waiting for, this is the time of manifested light, love, and healing in its purest form to return to this planet, and now the awakened ones, the enlightened ones, those that understand the power of this energy, can use it. But we ask that it be done only with rightful purpose, with pure intention from your heart. It is as if this energy is tangible to you, and you can use this energy to create and manifest, and yes, I will say this again, the manifestation process will happen quickly. What you desire will be brought forth quickly, what you bring forth will happen quickly, quickly, quickly. And so, we ask that you place the old frequencies and what we call the old paradigm energies aside. Because how you’ve been operating, how you’ve been living, how you’ve been thinking, will no longer serve you. And simply, these new vibrational frequencies will not support the old paradigm. The energies of lower vibration. And so, Dear One, please step forward as if you are stepping into this energy, as if you are stepping on a ladder and you are stepping upwards. Accept this now as truth, for as you live in this time on this earth plane, more and more will be occurring, and more and more will be as they say elevating in consciousness at a very rapid rate. So expect much to accelerate and that will be of love, light, and healing for all the world to see and all the world to feel. More and more of the light workers will step forward to shine their light and to make a difference upon this earth plane, and you, Dearest Children, are here to shine your light as well. The anchoring of these energies is of great importance, and today, we ask you to imagine that these frequencies, as you breathe them in, as you embody them, are now connected to the soles of your feet, and like an anchor, you are the conduit that is anchoring these new frequencies onto the earth, wherever you are living. You are anchoring these energies into the earth. Each soul is bringing their light and these powerful frequencies through their embodiment as a conduit. And for those of you who are traveling, you will anchor these frequencies of love, light, and healing, bringing the illumination of love wherever you travel. You are bringing this energy into the ley lines and into the grid lines of the earth, and Mother Gaea is feeling it. She is honored that you have chosen to be a conduit, to assist her in her evolution. And so, we say to you, Dear One, regardless of what you feel you are doing or not doing on a daily basis, you are contributing by holding the light. Do not underestimate the work and the agreements that you’ve made as a light worker on this planet. Regardless of what you feel you are contributing, you are contributing more extensively than you realize. And so, please honor yourself, and honor the light that you are holding and carrying as you bring in these new frequencies, and breathe them into your body. Holding the love, holding the love, holding the love, and preparing yourself at this time to receive the love of God into the essence of your being. I will step back now and allow Mary Magdalene to speak, but I’m here orchestrating the energy of compassion and mercy for this planet, bringing these frequencies of compassion and love and mercy through these powerful eclipses that are occurring at this time. Do not be discouraged by what you do not understand, but be encouraged, Dearest One, for so much is happening on the planet that is good, and yes, we say progressive, and healing, far beyond what you can understand. Do not look at the surface of what you believe is occurring, because so much is happening that is helping this planet and all of creation to evolve and ascend. And so, you see, these powerful frequencies that are being emitted upon your earth plane are being sent to your planet with love from the Great Creator, and so, we say we love you, we honor you, and we thank you for holding the light and being a part of this most amazing and life-altering time that is taking place upon your planet at this point in history. You are living in amazing times, and we thank you for your service. Greetings, my beloveds, yes, it is I, May Magdalene. As I come to you on this most auspicious day, I ask you to hold your head high and be not afraid. For as these frequencies enter into the earth plane, you will begin to see a massive shift in consciousness and so many people beginning to awaken. Others will want to understand the truth of that which is happening upon this planet. And you see, there has been much illusion and much darkness, and it is not for you to focus your attention. Remember these eclipses show the shadow of the darkness and the light. There is duality in all of life, and yet, now the time has come for the light to overshadow the darkness and truth will prevail, love will prevail, peace will prevail. We’ve said this many times before, but the time is now. The time is now, the time is now, the time is now. We want you to step forward and to honor yourself for all that you have done, both in this incarnation and through all incarnations of time. And through all of your dimensional selves, and your beautiful spirit, you’ve held the light and the love for this planet. And as you continue to do this in service, we are now bringing forth these frequencies so that you can be honored. And you can receive. This is a time of great manifestation, this is a time of the light workers and all those who are in service to be honored. And each of you are being given, and will continue to be given, many beautiful gifts, for your devotion and for your service, beautiful gifts given onto each of you. And so, today, we ask that you hold out your hand and receive all that is being gifted to you, calling in the frequency of love and healing and light upon your soul. And calling in the illumination of your powerful spirit to live in balance and return to peace. As you step forward to receive these gifts, may your heart awaken to the Living Light of God that lives deep inside of your being. Your abilities, your clairvoyant abilities, will begin to emerge. Your clairsentient abilities, your clairaudient abilities, and your claircognizance will begin to make themselves even more manifest, meaning that your own psychic abilities will begin to ramp up. The frequencies are extremely powerful, and you will become even more sensitive and attuned to your own awareness and your own knowingness. This is of grave importance that you understand this at this time: that you are going through a major transformation, and the frequencies that are affecting this planet will be affecting you. You will become lighter and lighter, you are literally ascending and evolving. And the veils of forgetfulness, and the veils that have been placed over you, will continue to be removed so that you remember the power of your spirit and the essence of your being. And so, Dearest Children, remember, remember, remember your Oneness. It is what Jeshua and I would do when we would enter the caves, we would return to Oneness. We would return and listen to the stillness. And so, today, it is about returning to Oneness with these powerful frequencies that are being emitted upon you. The potency of these energies are not to be misunderstood, they are not to be misled, as they say. They are not to be dismissed. These frequencies are here for you to ascend, and as we say, to re-remember, to reconnect to Oneness. To source. It is why you are here, it is why you have come to this planet. You’ve come to remember who you are. And to return to source. It may sound very confusing and complicated, but it is what was orchestrated for this planet at the time of her own inception. Every star system, every galaxy, every constellation is to return to Oneness. Re-unify with the light of all that is. And so, Dearest Children, this is what is happening, in simple terms. We are all being reunited with these powerful frequencies as if you are on a magic carpet ride. And you are being accelerated into the ascension process at a very rapid rate. And so, Dearest Children, prepare yourself to receive, and know that the Living Light of God lives inside of your being. This is indeed a powerful, powerful day. And as you move into the next several weeks, know the importance of this frequency and frequencies that are being emitted at this time, are of the greatest and most powerful that they’ve ever been. The energies that are being emitted on this planet at this time are more powerful than they’ve ever been. Some individuals will not be able to handle the frequencies, and this is why we are asking you to stay grounded in these energies, so that they are not affecting you on any level. Today, as you open your heart to receive these powerful blessings, know, Dearest Children, that you are love and you are loved, and we are here to help you to honor the truth of your own Divinity. And once again be at peace. There is no greater gift that you can receive than feeling the energy of peace upon your soul. Standing in the light, standing in the truth, standing in the remembrance of the truth of who you are, and being at peace. Know, Dearest Ones, the importance of the Living Light of God. As you tap into these frequencies and begin to meditate with these energies, you are illuminating your consciousness into a whole new way of being. What you believe that you have been, what you believe that you are, will now begin to shift and change very rapidly. And so, accept this gift from us today and from the Great Creator, as these powerful eclipses now overshadow the illusion of darkness and separation that has resided upon this planet for eons and eons of time. We thank you, Dearest Children, for your time and your attention. And we say to you, Dearest Ones, that as you hold these frequencies and embody them within your being, you’ll begin to feel this power within you, and you’ll now have the clarity to move forward as powerful beings of light standing in your true manifestation as the living God that you are, as the living Goddess that you are, as the magnificent spirit that you are. Please call in these energies and be at peace. It is why we are here, why I come, Mother Mary comes, Jeshua comes. It is why we all are here to assist you to be at peace. Know, my children, that time is truly of the essence, and there is no time to waste. Accept this gift of love that is being emitted to each of you at this time, now my children, embody and embrace the living God of All That Is.